Princess Diana, Princess of Wales, Biography, Early Life, Death. The Full name of Princess Diana is Diana Frances Spencer. She was well know as a British queen after marrying Prince Charles (Price of Wales). Princess Diana was an active fund raiser, Princess of Wales, president of charity work authorities and a celebrity. She was one of the most loved and respected members of the British royal family. Diana was born on 1 July 1961 into an aristocratic British family, though a commoner and royal. She was born in Park House, Sandringham, Norfolk to John Edward Spencer (8th Earl Spencer) and Lady Frances Spencer (Or Frances Shand Kydd). She was the fourth child of five children in her family. Diana was baptized at St. Mary Magdalene Church, Sandringham. She had three siblings: Sarah, Jane and Charles. Till age 7 she was educated at home. In 1968, Diana was joined in Riddlesworth Hall School which was an all-girls boarding school between the age of 7 to 12. Then moved to west heath girls school which is in Kent between 12 to 16 age and left the school. After this she joined in Institut Alpin Videmanette, which was in Rougemont, Switzerland. At the age of 17, Diana started her first job as nanny for Alexandra, the daughter of Major Jeremy Whitaker and his wife Philippa. She got engagement officially with Price Charles on 24th February 1981 and they got married on July 29th, 1981. She gave her first birth to William Arthur Philip Louis on June 21st, 1982 and 2 years later gave birth to a boy named Henry on September 15th, 1984. She was a good mother, wife and princess. In 1996, after knowing the Charles’ long affair with Camilla Parker Bowles, they together agreed to take divorce. The divorce settlement terms between Charles and Diana was $23 million and $600,000 per year as tenure. The car in which Diana was traveling met with an accident on 31st August 1997 at Pont de l’Alma road tunnel in Paris. 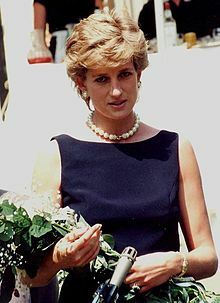 She was buried at Althorp, Northamptonshire on 6th September 1997.